EXOCube gets help from SRI and there 150 foot dish. Today I received the following update after I had informed how things where going with the Calpoly EXOCube Cubesat launched with the Elana X mission. SRI has been very generous and has allowed us to use their 150 foot dish for the past few days. The team went to SRI Sunday and Monday to use the dish. We got down a significant amount of telemetry data and health information. The space craft is doing alright, except for low transmit power, so we are trying to move ahead with the mission even with a limited link to the satellite. Unfortunately the SRI dish is not automated and must be staffed by SRI operators. We have to coordinate every pass remotely from Cal Poly. 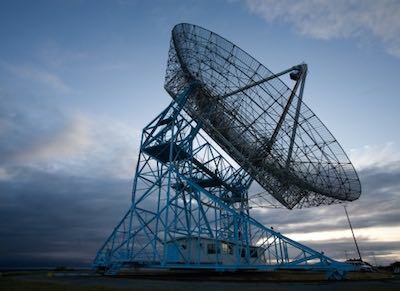 The dish is a short term solution that allows us to talk to the satellite when we really need to for time critical parts of the mission, but we are going to need a long term solution. We are upgrading our ground stations to have a dedicated transmit and dedicated receive station. We’re confident we can talk to the satellite, the listening part is where we are grasping for every last dB. We will make an update to our website in the next couple of days about the current status of the mission. We just have to be careful not to jump to conclusions so we are taking our time with analyzing the data we get. Thank you again for your interest in our mission and Exocube’s health!